Tired of having your leg harness hanging from a belt and digging into your hips? 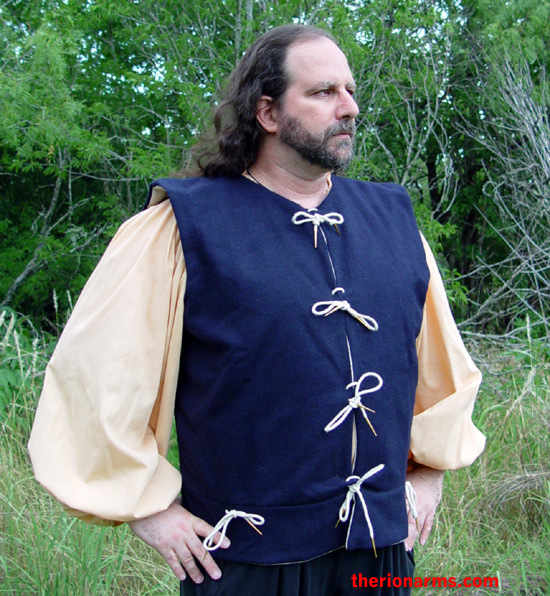 Try the 15th century historical solution - an arming vest waistcoat. 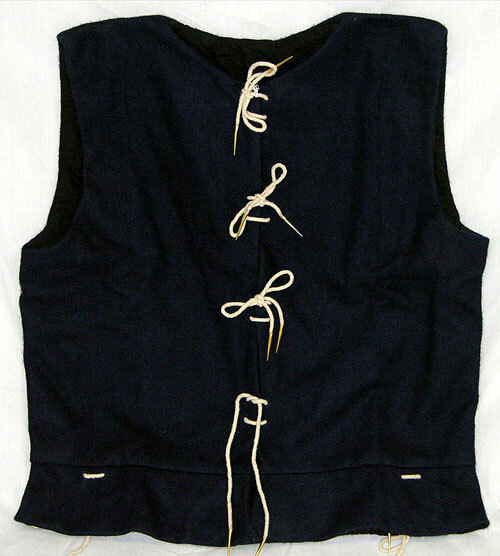 (I originally had these listed as "pourpoints", and you'll see them called that elsewhere, but 15th century clothing experts tell me that 'pourpoint' really only means 'padded', and should properly only be used in reference to an arming jacket or gambeson.) The vest is worn laced tight, and then the leg harness is laced/pointed to the bottom of the pourpoint, taking all of the armor's weight *off* of your beltline. What a great idea, someone should have thought of it sooner! (He proclaims bitterly, looking at the permanent marks over his hipbones from decades of wearing SCA leg armor suspended from a belt ...) Wool outer shell, linen inner lining.